Do your hands need a much deserved break from holding your tablet or phone? 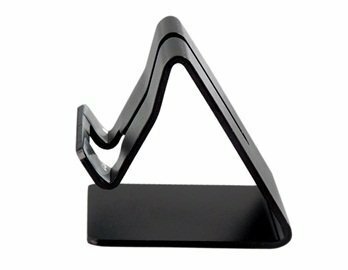 Our patented Angled Shelf Stand easily solves the problem, enabling you to effortlessly read, watch movies, record video and much more. 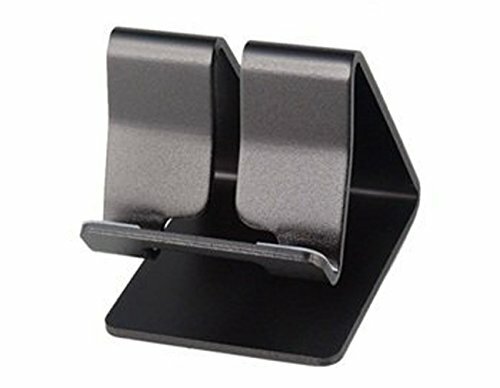 Our patented angled shelf design allows for viewing in both portrait and landscape positions. Made of the highest quality, durable aluminum, our stand can handle loads of up to 11lb and take years of wear and tear. The elegant black matte finish complements most any device perfectly – adding to the style of you and your mobile devices. 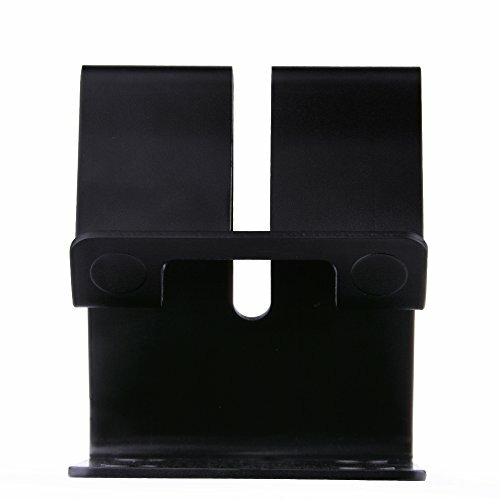 Well-placed rubber feet and pads protect your device from slipping and sliding in the stand, and from possible scratches. 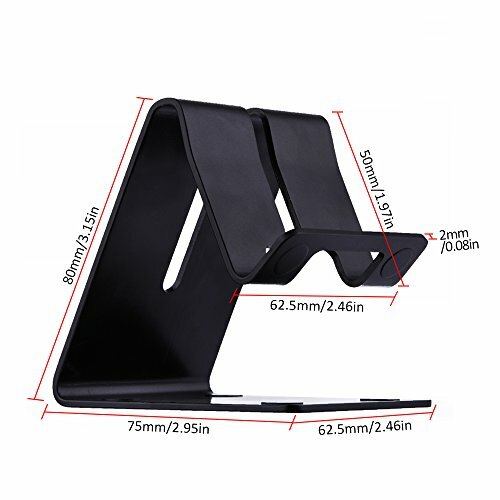 For all 4-7 inch Smart Phones, E-readers, Tablets such as: Apple: iPad Air, iPad, iPod 1, 2, 3, the new iPad (3 + 4), iPad mini, New iPad mini / iPhone 6, 6 Plus, 5S, 5C, 5, 4S, 4 / iPods Android: Samsung Galaxy S4, S4 Mini, S3, S3 Mini, S2, S, Galaxy Note 2, Note / Samsung Galaxy Tab 2 10.1, Note 10.1 / P5100, P5110, Galaxy Tab 3 10.1 8.0 7.0 / P5200 P5210 P5220 Others: Sony xperia Z / GPS / Google Nexus 4, 5, 7, 10 / LG G2, G3, Kindle and any other mobile phone or tablet. 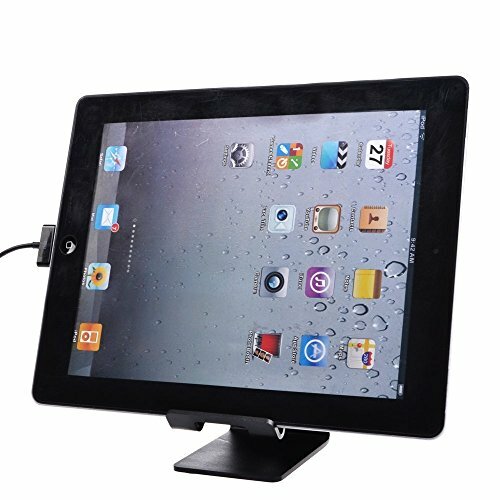 This rugged, portable desktop stand is universal and will fit any mobile device ranging in size from an iPhone to an iPad. Choose landscape or portrait mode depending on your needs. 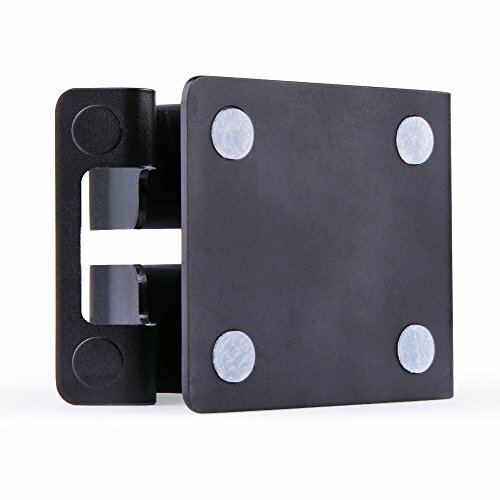 Our patented, angled support system ensures your mobile devices stay put while you watch your favorite movies or videos, or have a laugh at that latest selfie your friend posted! Don’t be weighed down. At just about 100 grams, this is one of the lightest stands on the market. You get the lightweight advantage of quality, solid aluminum.